 Log In needed £5 · Alterations, so prices will vary depending upon work required. 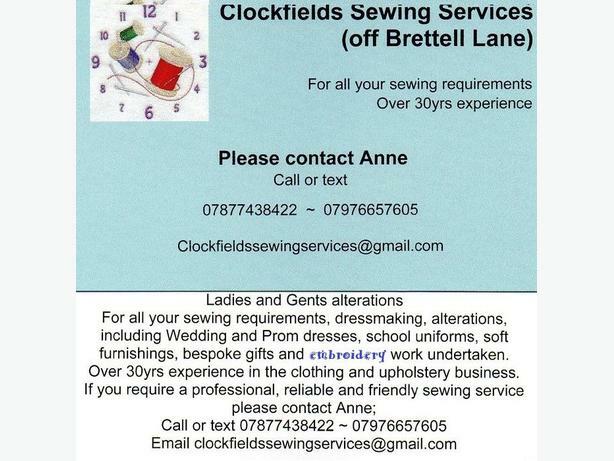 Male and female clothing alterations, including wedding and prom dresses, and embroidery work undertaken. Please phone/txt or email for more information.